Robert “Bob” Glenn Young, of Norman, OK passed away Friday, November 17, 2018. Bob was born in Casa Grande, Arizona to Walter Glenn Young and Imogene Marie (Jennings) Young who lived in Coolidge, Arizona. 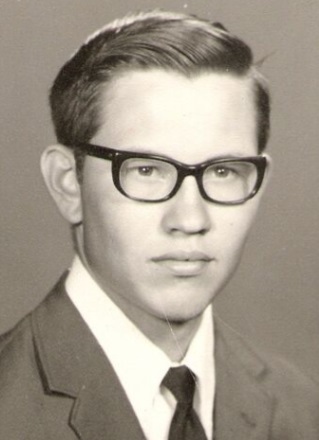 He graduated from Anadarko High School in 1975. After graduation he attended Bethany Nazarene College now known as Southern Nazarene University. Like his father and grandfather, Bob loved all things outdoors, such as camping, hunting, and just walking in the woods. He would enjoy that walk more if it was beside a creek or a river because his favorite outdoor activity was fishing. He could spend countless hours with a pole in his hand. Of course catching a fish always made the wait worth every second. Bob also had a love of history, especially all eras of the subject he was well versed in. He did have a few favorite times like the great spectrum American History – from the French-Indian Wars to the Korean Conflict, and even more specific the Civil War and WWII. The list would not be complete if we left out Oklahoma History. Bob had a wicked sense of humor, which he inherited from his grandfather when he was a small child, and he never lost it. As he got older he realized his grandfather was a master of the practical joke or pranks. He found that to be irresistible and followed in his footsteps. If a prank was to be pulled he was always in the thick of it, no matter how innocent he tried to act. The twinkle in his eye always gave him away. Bob was preceded in death by his grandparents Frank and Lora Belle Jennings, his father Walter Young, and his mother Imogene Young, along with his step-daughter Stacy Martin. Left to cherish his memory are his wife of 27 years Carole Young of Norman; daughters, Tobi and her husband Kevin Dees of Bethany, OK and Shannon and her husband Keith McGee of Oklahoma City; son, Robert Young, Jr. and his wife Mandy of Jones, OK; stepson, Bryan McCall and stepdaughter, Shannon McCall, both of the home; grandchildren, Belle, Lily, Tyler, and Penelope Dees of Bethany, OK, and Jonas and Carson McGee of Oklahoma City, and Izzy and Abby Young of Jones, OK, and last, but not least, Vivian Martin of Norman, OK; two sisters, Jan Stuart and her husband Roger and Lora Lynn and her husband David Estes of Houston, TX; two nieces, two nephews, and five great-nieces and nephews. Visitation will be Tuesday, November 20th from 10:00 AM to 11:00 AM at Moore Funeral and Cremation, 400 SE 19th Street, Moore, OK, where a Celebration of Life Service will be held at 11:00 AM in the Chapel of the funeral home.